Krankies Coffee is the ultimate neighborhood hangout. Stop in to fuel up on caffeine, grab a quick pastry, catch a show, or showcase your own talents at an open mic night. Outside on the porch or indoors on one of the comfy couches; there’s plenty of space for a relaxed lunch. Then come back after dark for beer or wine and some live music. “It’s such a great spot to come and study. I can always find a quiet place to sit” said one Krankies regular. One of Krankies’ fresh small-batch roasts is a great study aid. There’s also a variety of teas and other beverages if that’s more your speed. 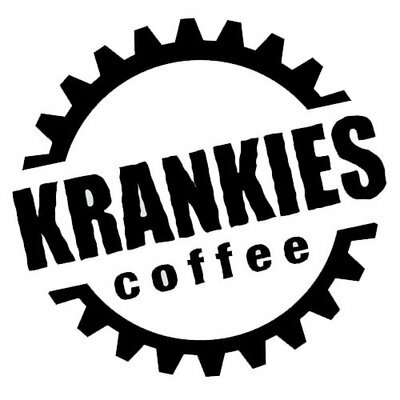 Krankies is much more than your average coffeehouse. With the couches pushed aside to make for the dance floor, and the coffee and tea turn into beer and wine, Krankies hosts some of Winston-Salem’s finest musical acts as well as national touring bands. “It’s the best! Where else can you drink wine and listen to a No Doubt cover band?” said a skeleton at Krankies annual warehouse Halloween party. This kind of crazy cover band Halloween party, followed the next day by a Day of the Dead celebration and Halloween inspired bike race is just the kind of eclectic fun that Krankies is known for. Stop by Krankies coffee shop to grab a coffee and to enjoy some entertainment!